New Jersey’s online and retail sportsbooks scored a record win and near-record monthly handle in March as the industry crossed the US$2 billion mark in bets since legalisation. The spike in handle and win was fueled overwhelmingly by the NCAA Men’s Basketball Tournament, according to PlayNJ.com analysts. Dustin Gouker, lead sports betting analyst for PlayNJ.com, said: “The first week of March Madness generated more action than the Super Bowl, and even the First Four games attracted enough betting to rival a busy weekend of NFL regular season football. In all, New Jersey’s online and retail sportsbooks accepted $372.5m in bets in March, just shy of the record of $385.3m set in January. 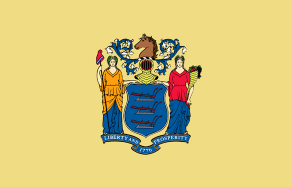 New Jersey’s online and retail sportsbooks have now accepted $2.3 billion in bets since they were legalised in June 2018.